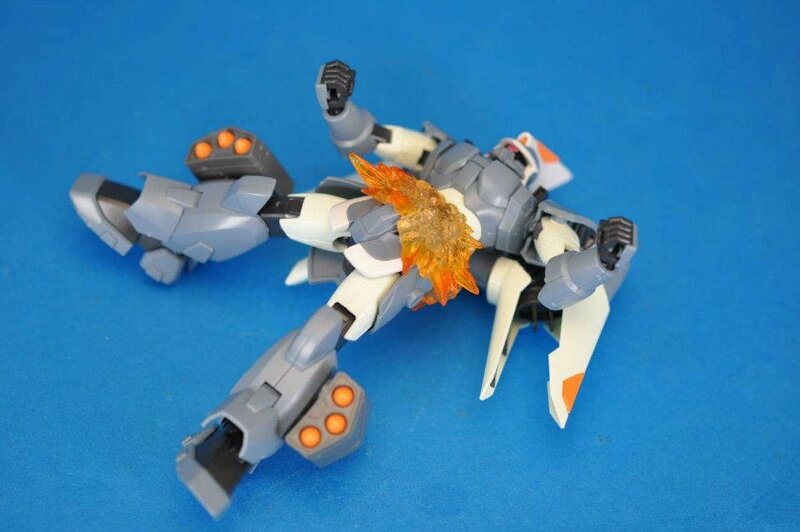 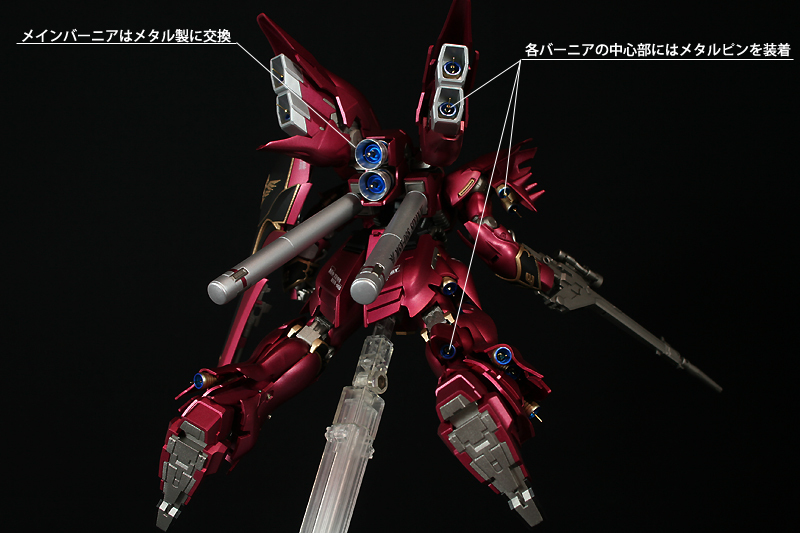 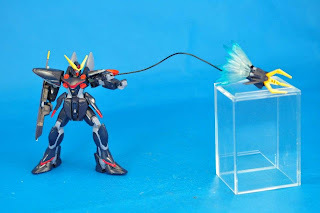 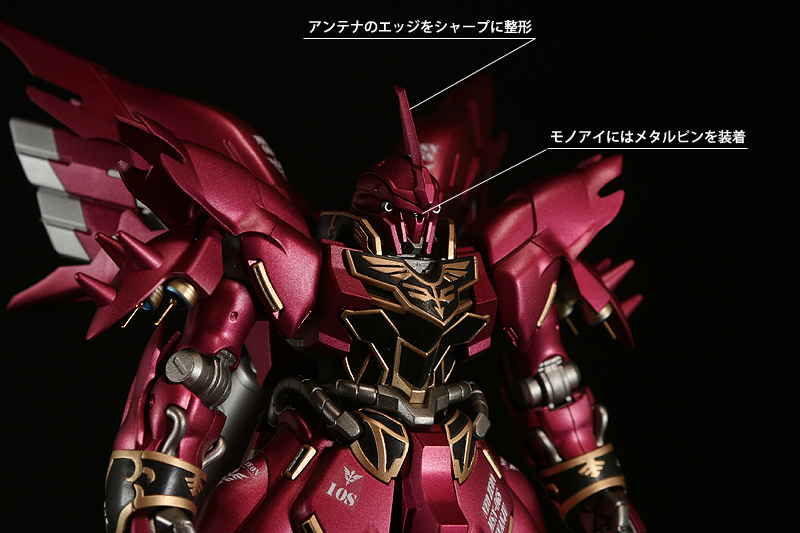 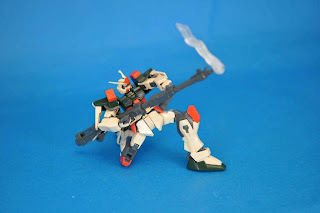 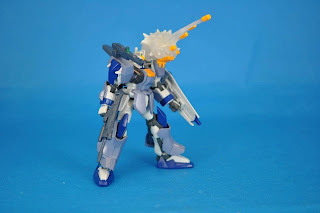 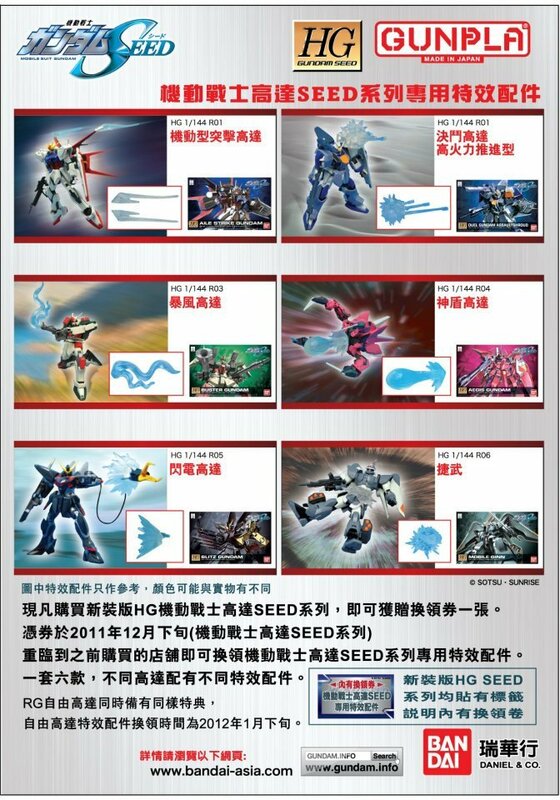 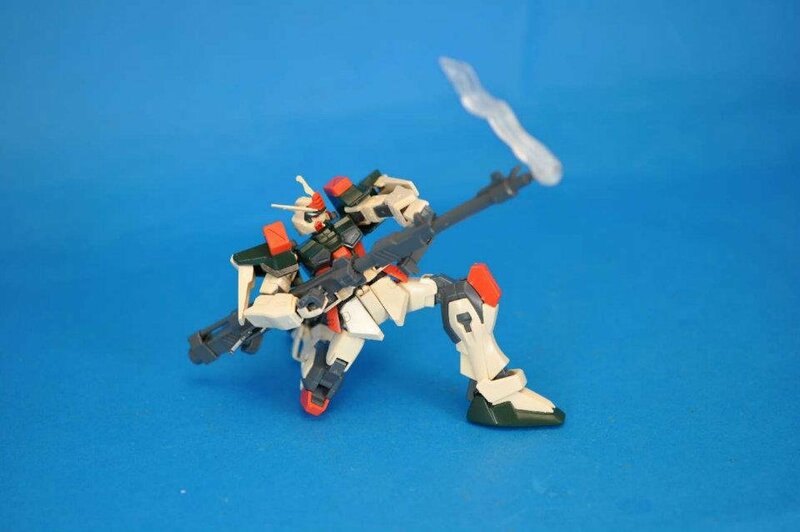 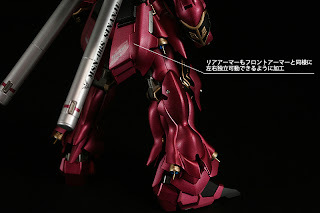 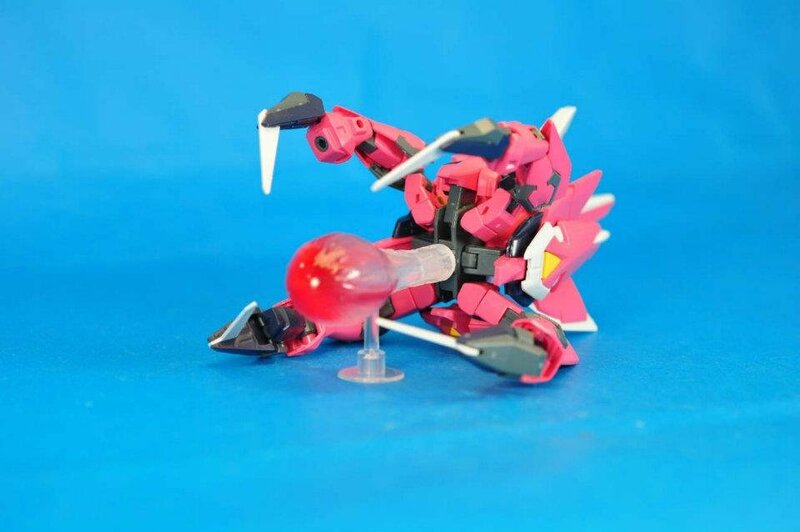 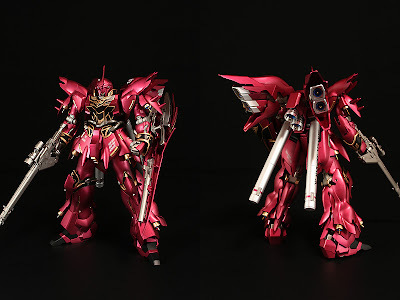 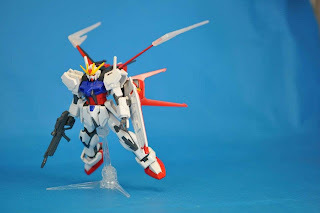 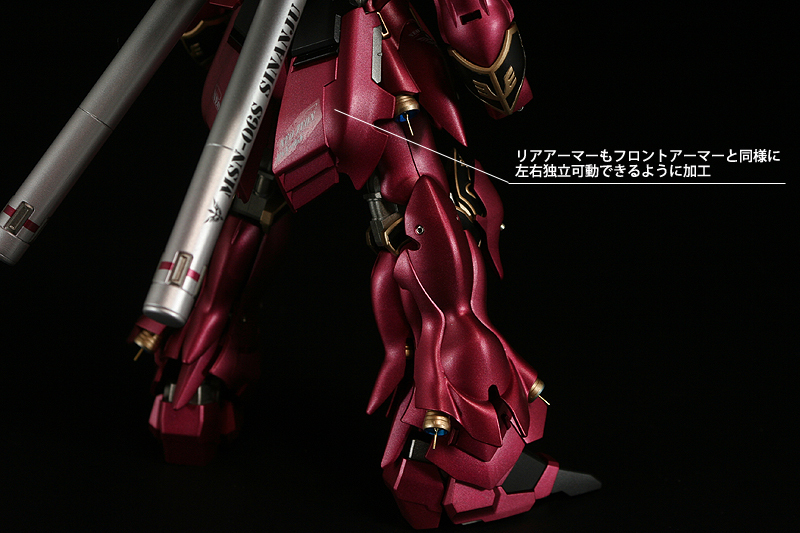 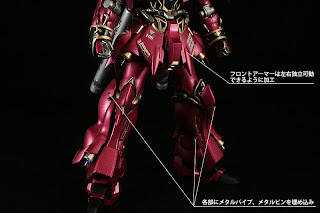 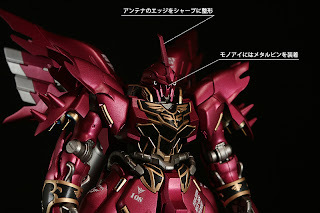 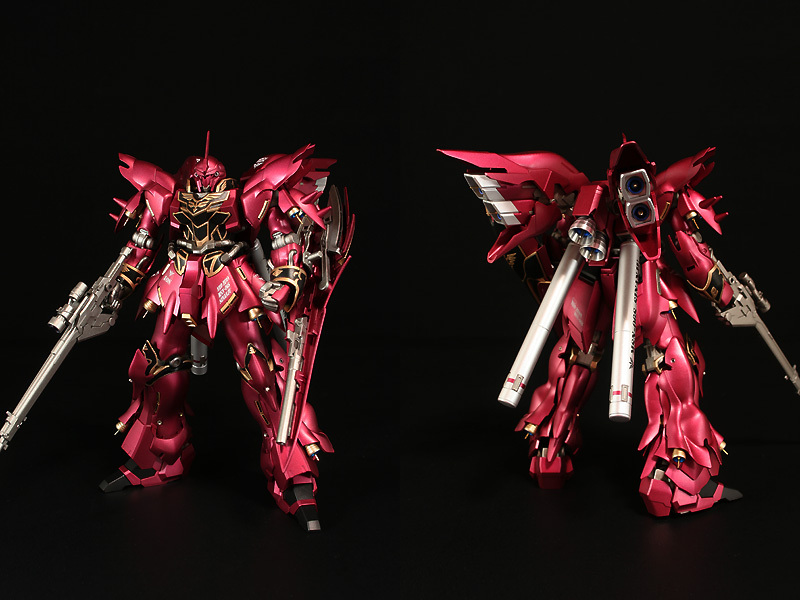 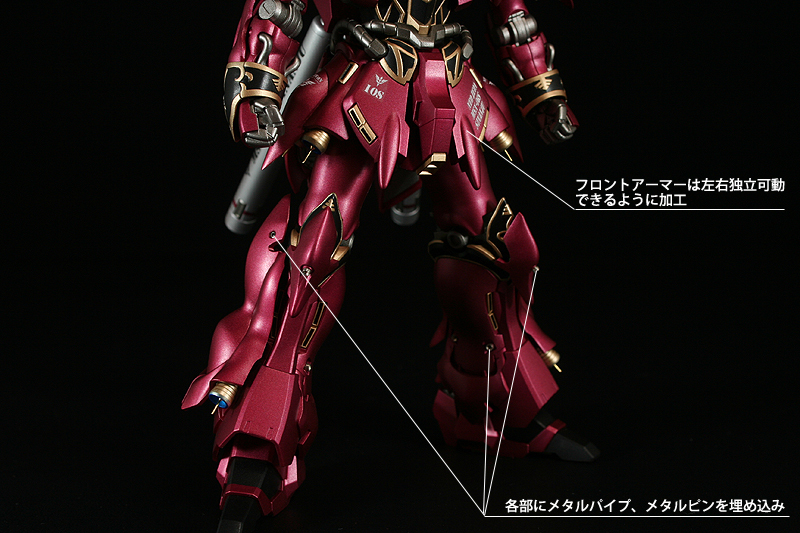 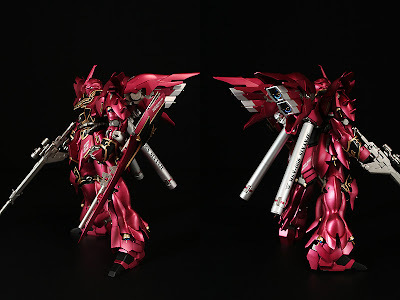 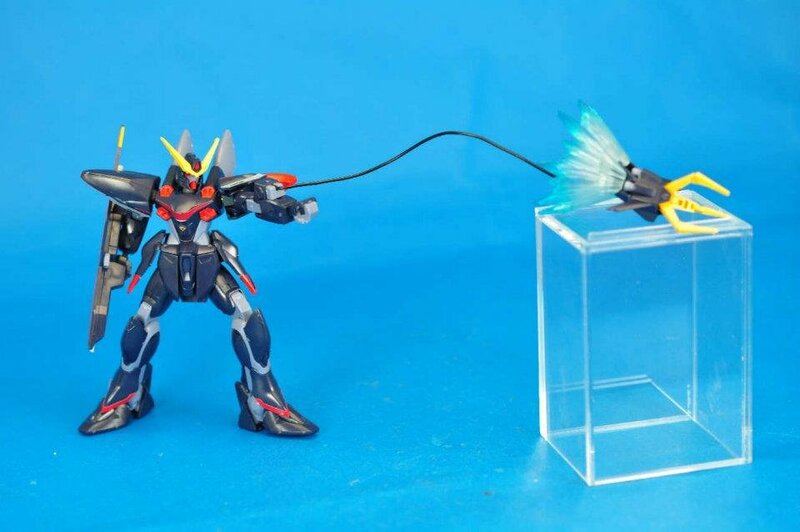 It seems that those HG Gundam SEED Renewed Gunpla effect parts that we had posted about a month ago will be distributed by Bandai-Asia in Hong Kong. 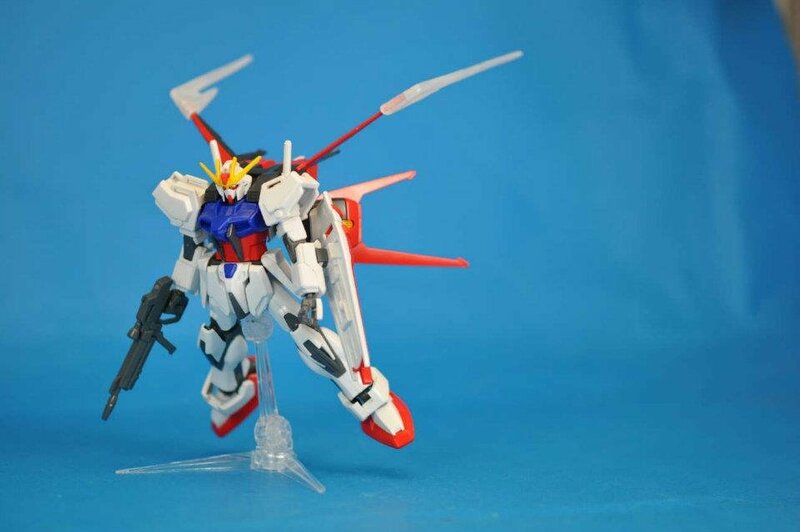 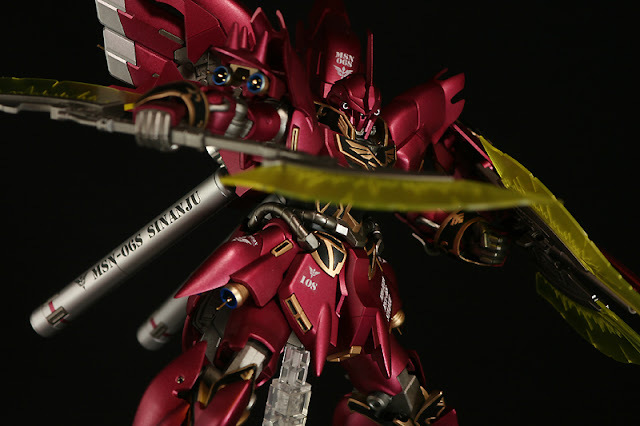 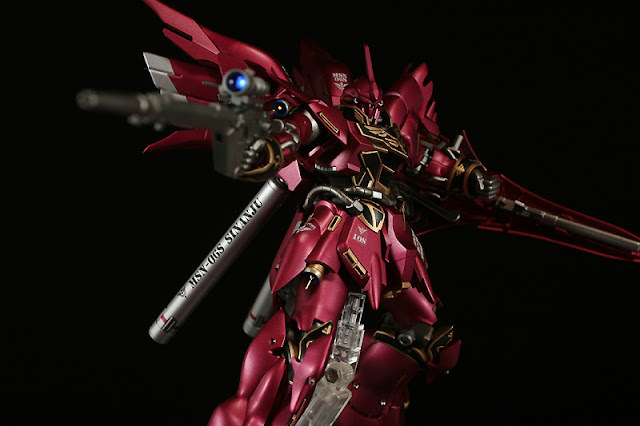 A redemption coupon will be given with any purchase of these HG Gundam SEED Renewed gunplas. 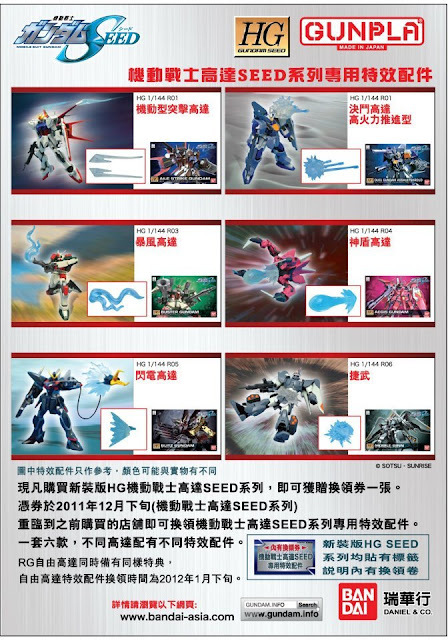 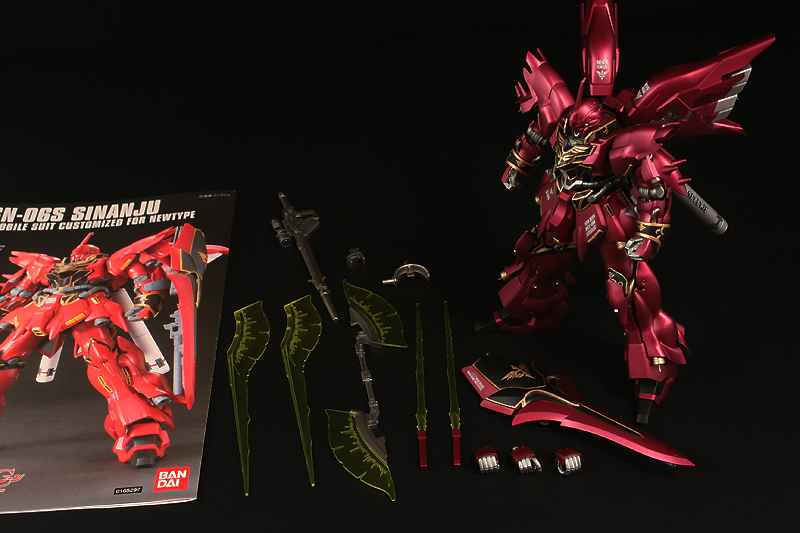 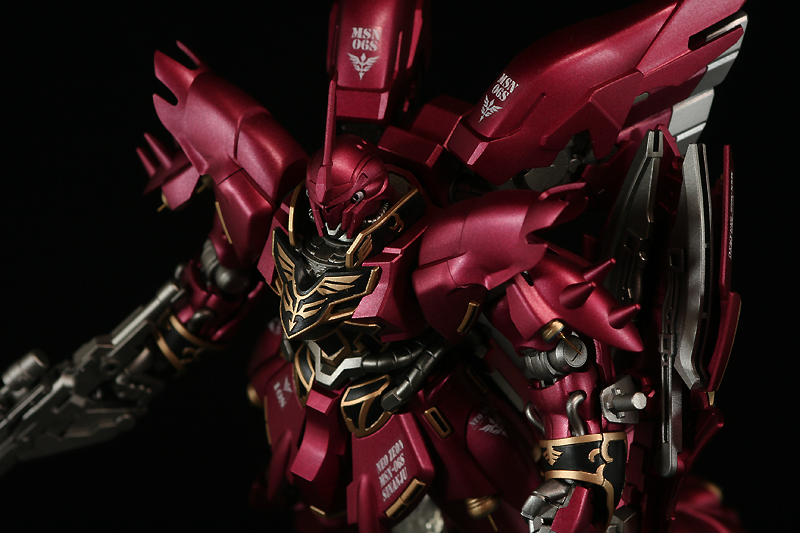 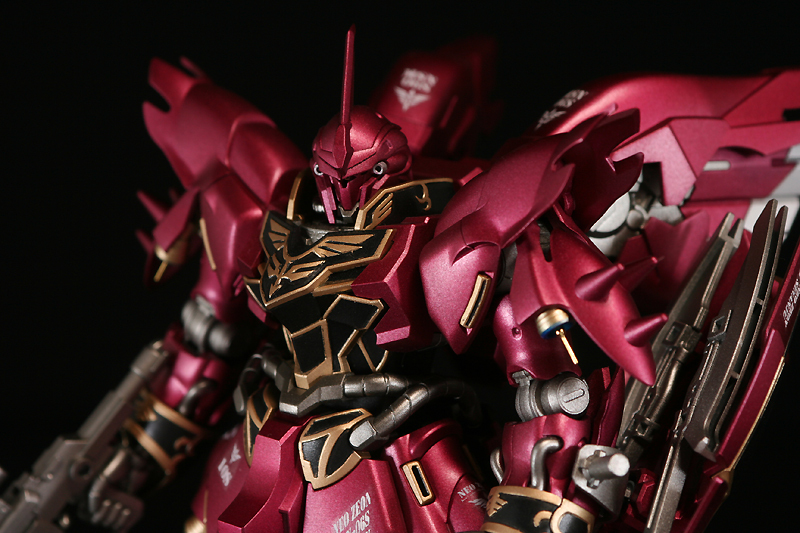 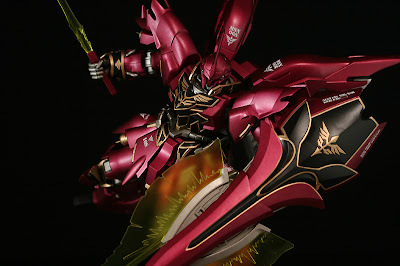 And by bringing those redemption coupon back to the store of purchase in the later half of December, you may redeem a set of HG Gundam SEED Renewed Gunpla effect part set (6 effect parts total). 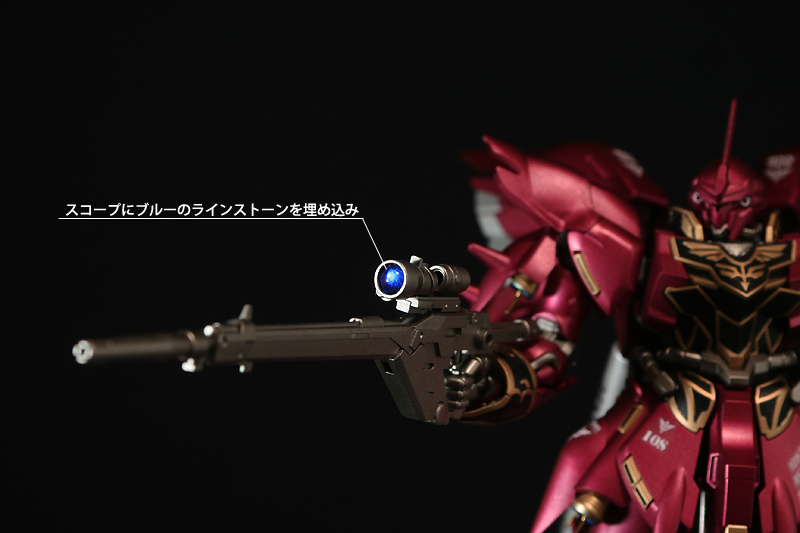 There doesn’t seem to be any news about the release of this effect part set in the US… yet.